Make a difference: vote Ed (Green Party) for Hunslet + Riverside, in the Leeds local election on Thursday 2nd May 2019. Do you love Leeds? Do you want to work with others to transform our city and communities? Can we make politics work for the people again? 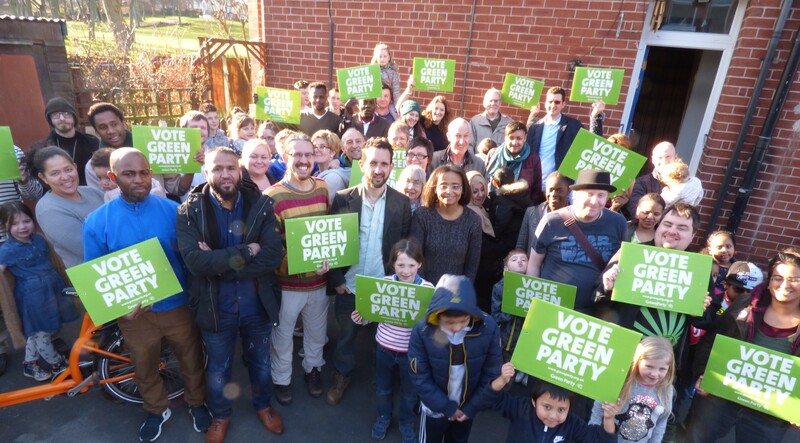 We – the Green Party in ‘Hunslet and Riverside’* – are all regular people, who live in the heart of the community here, who love our city, and have for many many years worked hard with others to make good things happen (click here). We’re all fairly new to politics – but are committed to listening to you, being a strong local voice, and working with you for positive change. Huge thanks to all those who’ve supported us – with our year-round community work, and our election campaigns. We ran active campaigns in every local/council election since 2015, each time coming 2nd, and getting a fast-growing vote share**. After another year of leading and supporting local community action, we’re standing again in this year’s local/council elections, on Thursday 2nd May 2019. So many people are fed up with the big old political parties, and the way they’ve dominated and strangled our political system for so long. So this year’s election offers a golden opportunity for us to break through, and start turning our city and local communities around for good. Whatever you think of national politics*** (and we think it’s a mess), we need change here on our doorstep. To do that, please lend us your support – on election day (Thursday 2nd May 2019), and far beyond. THANK YOU. * ‘Hunslet and Riverside’ is the name of the Leeds City Council ward formerly known as ‘City and Hunslet’. It includes Beeston Hill, Hunslet, and much of the city centre. Read more here. ** 39% of voters backed Ed in the most recent local election in May 2018, with the party scoring 34% overall. (It was an unusual election, so the maths were strange!) We are now within close touching distance of winning a seat. *** To find out why local politics and local elections are very different to national politics and elections, and why many members and voters from other parties (including Labour) support us in the local elections, click here. Finally here: as of late March (2019), we’re just tidying up this website, after letting it go dormant over the winter. Bear with us, we’ll have it 100% up-to-date shortly – ta.